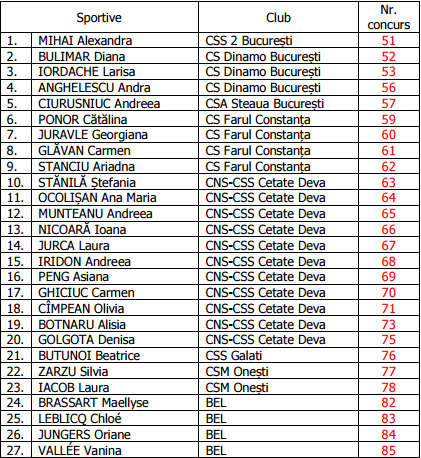 Belgian Gymnastics: Romanian Championships: four Belgian gymnasts set to compete in Bucharest! 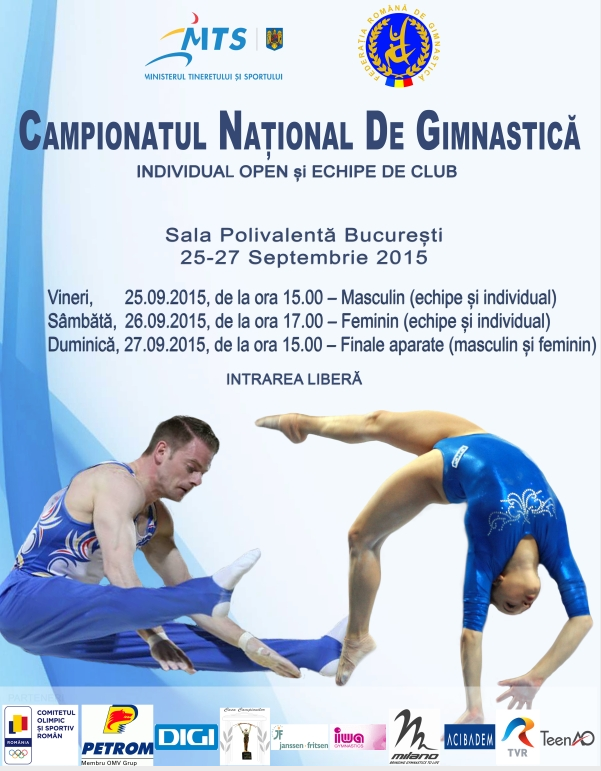 Romanian Championships: four Belgian gymnasts set to compete in Bucharest! Next week (September 25-27), Bucharest will host the Romanian national championship, an important competition for the Romanian gymnasts, as the team for this year's World Championships (Glasgow, October 23-November 1) will be announced after this national competition. But that's not all: four junior gymnasts from the Elite Centre of Mons will compete in Bucharest! Maellyse Brassart (Gym Phénix), Chloé Leblicq (La Nivelloise), Oriane Jungers (RASG Jemelle) and Vanina Vallée (Club Boussu Gym) will travel to Romania next week. 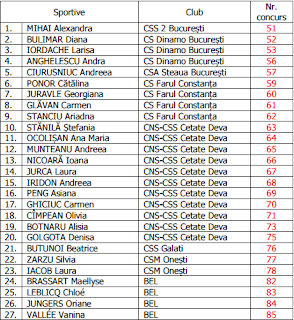 The Romanian championship is a great experience for the junior gymnasts, as they will have the chance to compete alongside Romanian and World stars Larisa Iordache, Diana Bulimar and Catalina Ponor. Our Belgians will start the competition on the uneven bars with Romanian gymnasts from Dinamo Bucharest.